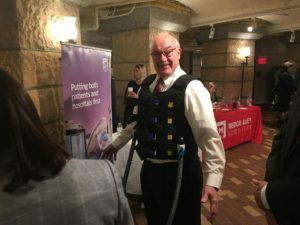 Monday, March 12 was Medical Alley Day at the Minnesota State Capitol, bringing together legislators with the health technology companies that power Minnesota’s economy and make it the global epicenter of health innovation and care. 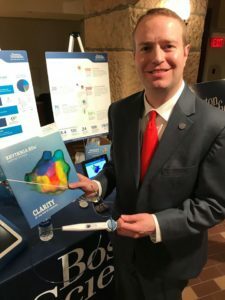 Members of the House and Senate were able to meet representatives of MAA member companies from all over the health technology spectrum; Rep. Tony Albright (MN-55B) kicked off the day by sharing some of the community’s impressive feats. 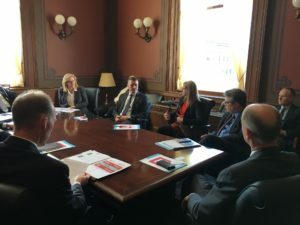 Over the rest of the day, legislators had a chance to meet representatives from Abbott, Atricure, Boston Scientific, Ecolab, Inspire Medical Systems, Medtronic, and two of the Minnesota companies acquired by Dutch healthcare giant Philips last year, Respirtech and VitalHealth Software, to get a better sense of what conditions they treat and how they treat them. 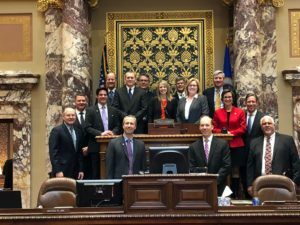 We closed the day in the Senate Chamber thanks to Lt. Gov. Fischbach and Majority Leader Gazelka. 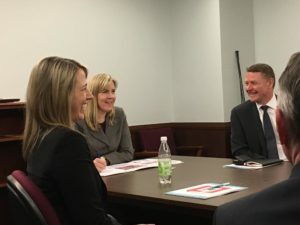 We look forward to facillitating more of these interactions in the coming weeks, and are thankful to all the companies and legislators who were able to join us!